Monday the 4th of December marked the last Williams Project of 2018, as well as the last Williams Project with Mr Lord at the helm. With this in mind and with so many wonderful and insightful talks preceding him, Mr Robert Blakey, criminology doctoral candidate at the University of Oxford, had a hard task ahead of him. I’m sure it’s no surprise to hear that he did so with pure charisma and flawless knowledge with regard to his subject. Mr Blakey began his presentation by outlining the big question he would be attempting to answer: ‘Will criminal behaviour be one day treated like a brain-based cancer, rather than punished like evil?’ He began by giving us four concepts that contribute to a person’s offending: genes, social environment, brain activity and free will, and asked us to decide in what order they run in when contributing to a criminal committing a crime. We then proceeded to have an interactive discussion as a group in an attempt to order these notions, culminating in our successful ordering of the ideas. 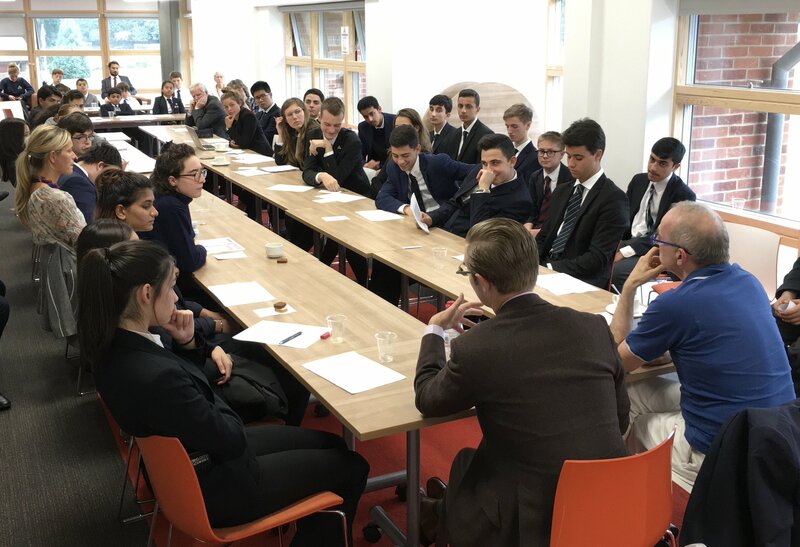 Mr Blakey then read us two scenarios about free will: one where, from a psychological point of view, our decisions were all caused by factors outside our control, and another similar but described in terms of chemical activity in our brains. He then invited us to stand on the left side of the room if we still believed the person in the example had free will or the right side if we believed they didn’t. It was interesting to see how many people moved to the side of no free will, particularly in the chemical scenario. This activity was thoroughly engaging and gave us a real opportunity to think things through for ourselves. 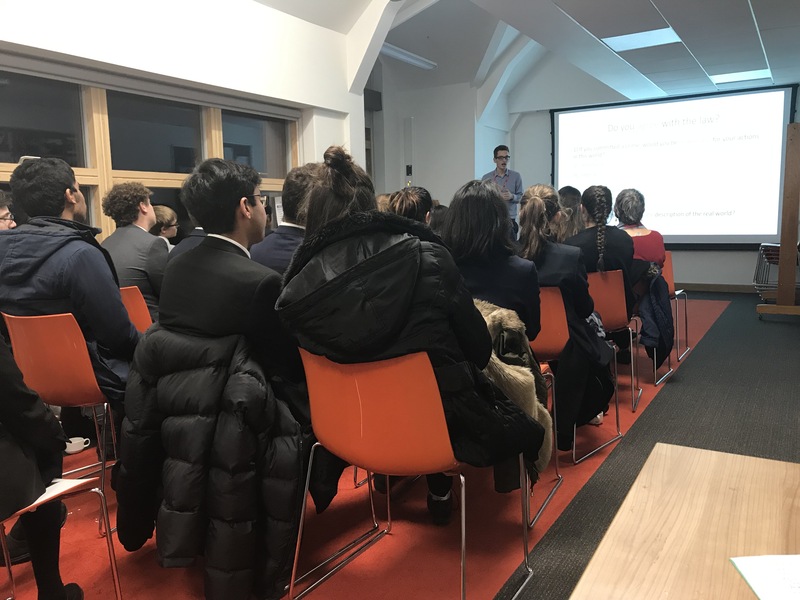 Mr Blakey continued his fascinating talk by presenting the idea of rehabilitating criminals, especially young offenders, in good social environments instead of prisons as he noted that prisons are poor repairing facilities, as well as being detrimental to the mind of a youth offender. 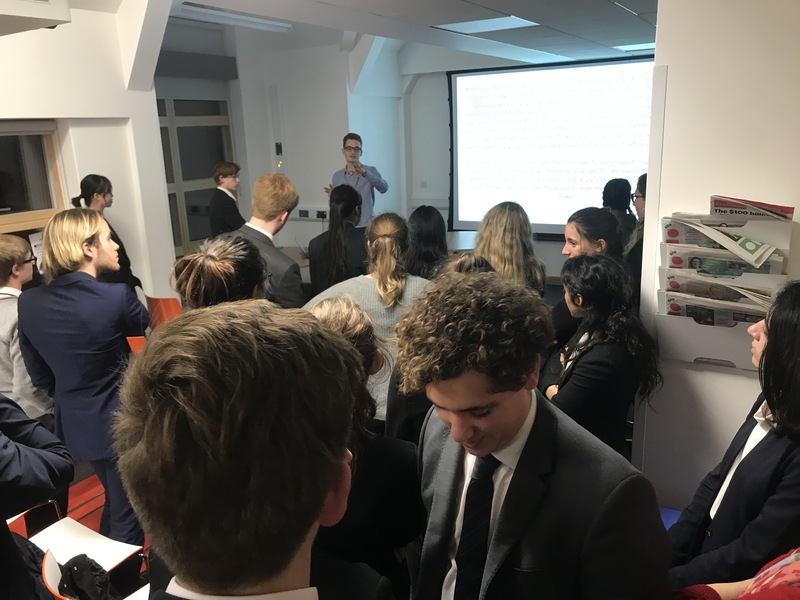 We spent the final minutes of the presentation trying to decide how to rehabilitate offenders, and whether there would ever be a perfect way to help lawbreakers. It was a captivating and highly perceptive talk that challenged us to think laterally with regards to many issues. Many thanks must go to Mr Blakey who we are sure would be very welcome to return to Chigwell in the near future. On the 9th of October, the Williams Project was visited by another great speaker. 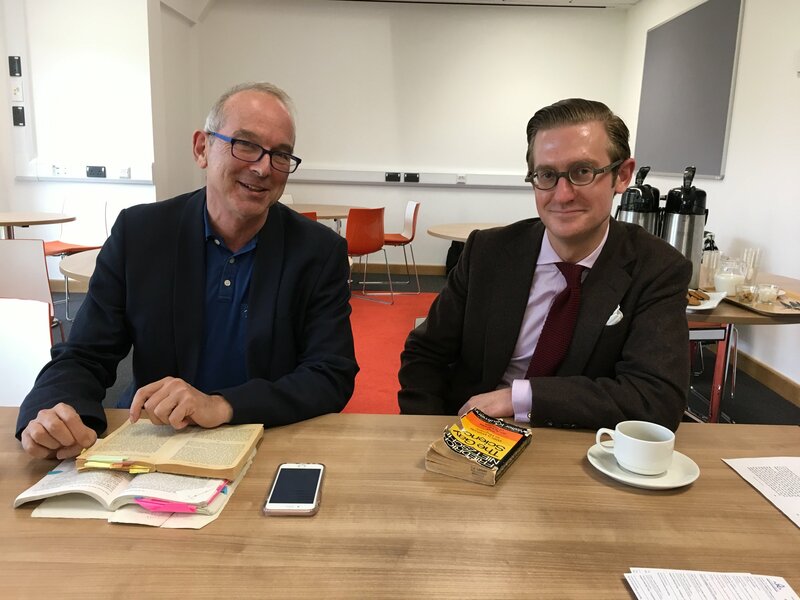 This time, it was Ray Monk – professor of philosophy at the University of Southampton, acclaimed writer and expert in analytical philosophy of the 20th Century. He gave a lecture on Ludwig Wittgenstein – his life, works and why he is relevant up to this day. Even though the philosophical aspect was prominent, the lecture was also a biography of Wittgenstein. Prof. Monk described his family and his time growing up in Vienna. Then he focused on Ludwig’s school years and his inspirations. The story of Wittgenstein was very engaging and it was easier to look at his ideas through his biography. You could really feel that Prof. Monk is an experienced biographer and lecturer. Later on, he introduced us to some philosophical problems while talking about the philosophical part of Wittgenstein’s life. For example, he mentioned Russell’s paradox, which still doesn’t have a clear solution. The lecture finished with a Q&A section, although it was possible to ask several other questions to Prof. Monk during dinner. I, among others, found the lecture very interesting. It was a comprehensive, yet comprehensible introduction to Wittgenstein and a great encouragement for further reading.